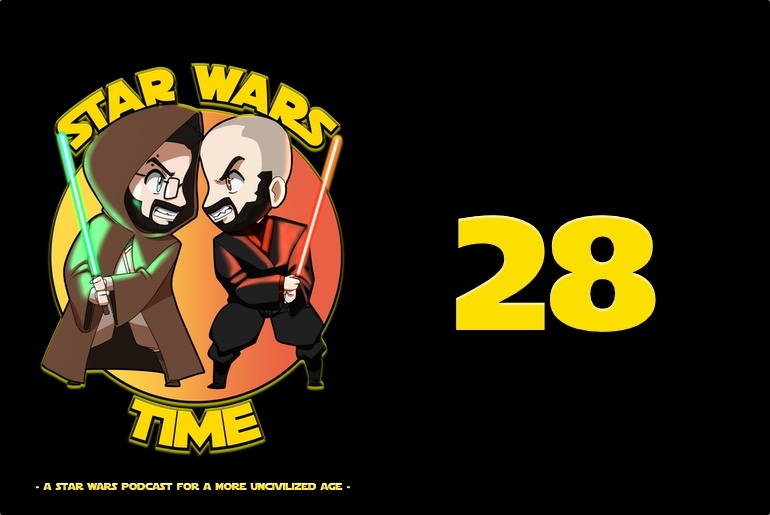 Welcome back to the Star Wars Time Show all you lovely listeners. This week is a bit of a shorter show. Nick dropped in for a bit while fighting off a cold and then left Matt to cover the rest of the topics, but there is still a ton of good content here for everyone! First up, the boys go over the Top 5 Instagram pics of the week, definitely the top segment of the show, and then quickly roll into the Episode IX poster leak. There are some strong opinions on the poster itself, so be prepared! Not everything is sunshine and rainbows here at the Star Wars Time Show. After those topics, Nick dips out and leaves Matt on his own to cover the Episode IX character leaks, a tribute to the newly dubbed RAM-PO, the Capital Supremacy update for Battlefront II, a new Galaxy’s Edge novel releasing soon, and two awesome drops for Star Wars Celebration! Kick back, relax, and may the Force be with you.